Heavy metal recycling Perth can be very challenging if not done properly. 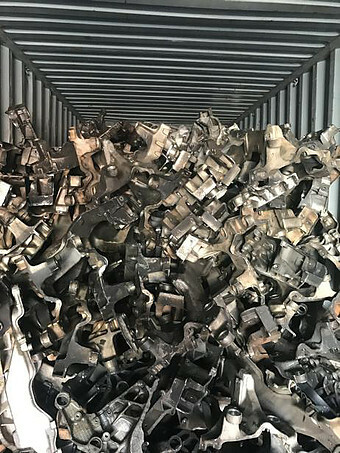 QB Scrap Metal Recycling have years of experience to conduct heavy metal and iron recycling in the safest way in Perth. Iron contains elements that are indestructible. To get the best result, iron must be carefully melted only to create new, desired elements. Iron can also be found in non-ferrous scraps. This is why we separate the ferrous from non-ferrous scraps first before we further proceed. 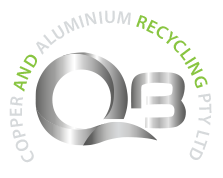 At QB Copper, we conduct a safe recycling process in our own centre. Do You Have Unwanted Iron Scraps to Sell? Unwanted iron scraps not only look bad but are hazardous if left unattended at any landfill. To save our environment, you can now easily Get Rid of Unwanted Iron Scraps from your property. Sell your iron scraps to us at QB Scrap Metal Recycling, and get top dollars instantly! We offer the highest payment for your scrap iron and other heavy metal. The more iron scraps, more value you’ll get! Iron recycling has 2 major benefits. When we buy your iron scrap from you, we don’t dispose them at any landfill. We take everything to our recycling centre where we eliminate the hazardous parts and separate the ferrous from non-ferrous iron. Then our experienced and skilful staff will conduct eco-friendly recycling. Through recycling, we need fewer components to produce iron. These iron, once melted can be shaped and reshaped into various elements and can be used for different purposes. Extracting and manufacturing raw materials to make iron is very expensive. However, melting and moulding iron through recycling is cheaper and more convenient in all aspect. Iron is usually 100% recyclable and can be used in uncountable times. You can now eliminate your trouble in disposing of iron scraps anywhere. At QB Copper Recycling, we offer you with a range of recycling bins for your convenience. Complete the form on the website and we’ll provide you with the properly sized bin.